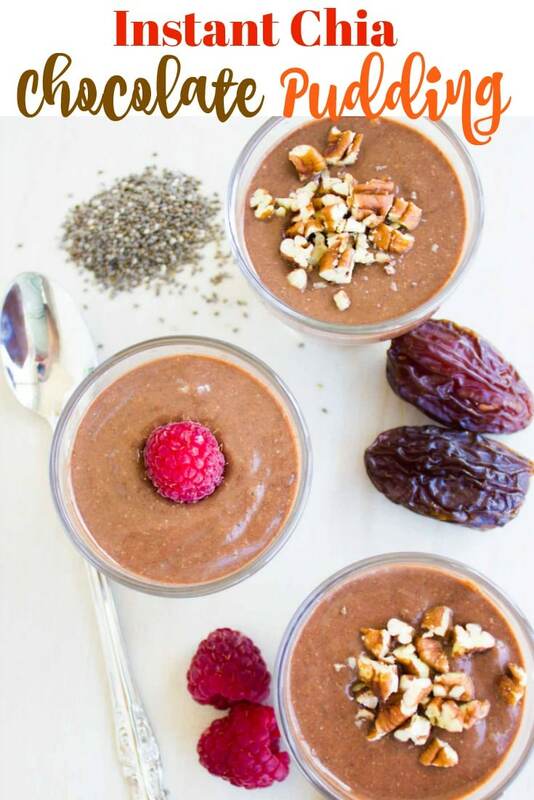 When you’re craving a chocolate dessert, turn to this healthy and nourishing instant chia chocolate pudding recipe. It’s the best way to reward yourself at any time of the day! It’s rich, satisfying and takes 2 minutes to make. No chilling or waiting for the pudding to firm up, and no sugar added! Here comes another chocolate dessert recipe! But hey, it’s one you don’t have to feel guilty about! You can even have this for breakfast. 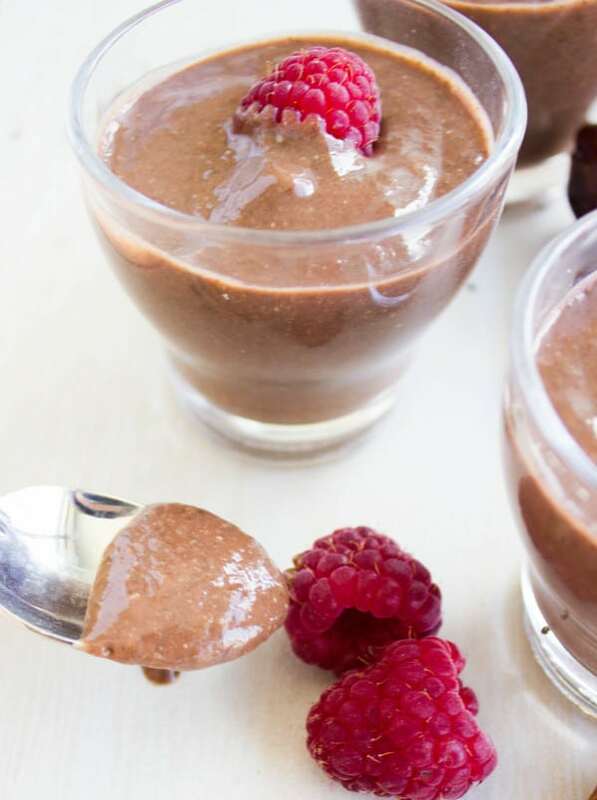 For you skeptics out there – this instant chia chocolate pudding is nothing short of chocolate indulgence! There are two things to major bonuses to this easy Instant Chia Pudding recipe. First off, chocolate. Duh! The second bonus is clearly the instant factor. No chilling, no waiting. No one should have to wait for chocolate. The magic of this pudding texture comes from the little tiny magical superfood called chia seeds.These blackish-white oval seeds have the ability to absorb an enormous amount of liquid and then form a unique gel-like texture. To speed up the gel-pudding like texture in this recipe and make it instant, I use a high-speed blender. This motion breaks down the seeds and forms this magical texture right away. 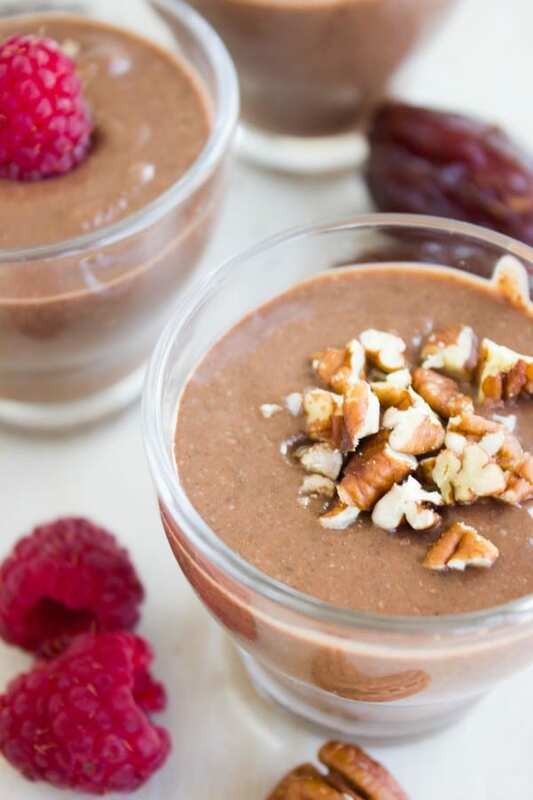 If you want the seed-y texture and that extra bite or crunch when making chocolate chia pudding, then you’ll need to make your pudding in a glass jar or any sealable container and manually shake the mixture every 10 minutes for about an hour while chilling the pudding in between. Apart from setting puddings, chia seeds also pack plenty of omega-3, fibre, protein, vitamin B’s, magnesium, iron, calcium and much much more! 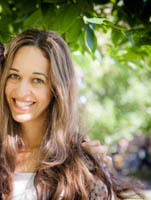 It’s almost too good to be true, yet it is! 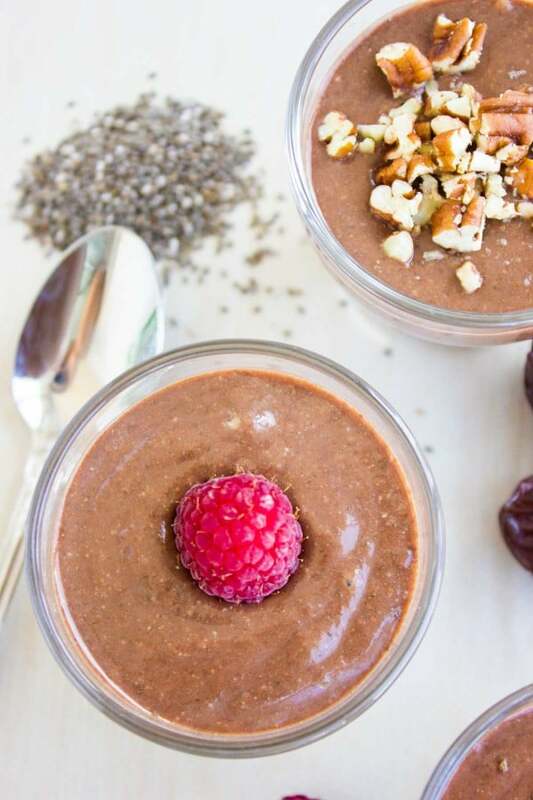 So you’re doing yourself a favor when you indulge in this instant chia chocolate pudding! And If you’re following a gluten-free, paleo, vegan or just any lifestyle at all—this recipe will fit right in! I make my Instant Chia Chocolate Pudding using cocoa powder instead of chocolate. You can adjust the amount of cocoa powder to make these more or less intense. I love using dates to sweeten this pudding, but banana works just as well. If you’re skeptical about the taste of dates—you won’t taste them! Basically, this recipe comes together in 1 easy step: Pulse dates, milk, cocoa powder, vanilla and chia seeds. Everything should be well blended until it thickens up instantly. Fill into glasses and chill until serving time! 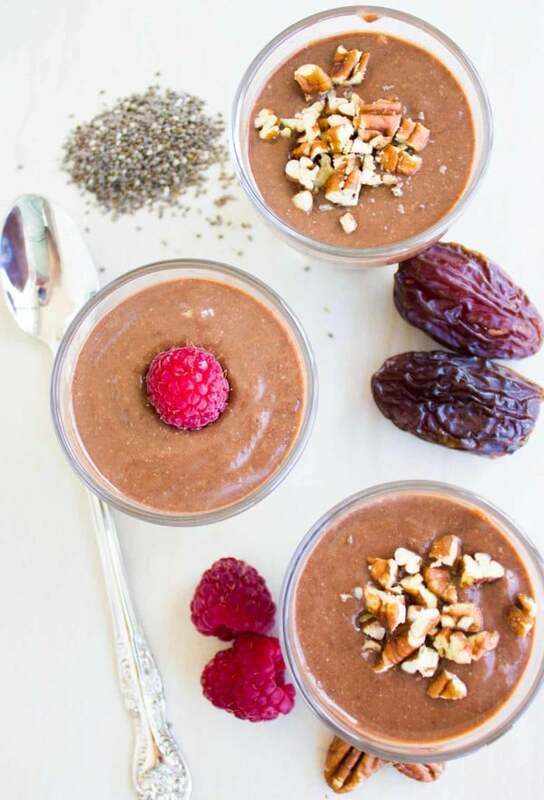 If you want that extra bite or crunch from the chia seeds, you’ll need to make your pudding in a glass jar or any sealable container and manually shake the mixture every 10 minutes for about an hour while chilling the chia chocolate pudding in between. Use any nut milk you like – cashew milk makes or an extra low-cal chocolate chia pudding, while coconut milk makes it extra creamy. Use high-quality unsweetened cocoa powder for this recipe. Feel free to add a pinch of salt and some cayenne pepper to further intensify the chocolate flavor! For more chocolate pudding recipes, check out my Classic Chocolate Pudding or my Self-Saucing Chocolate Pudding Cakes! 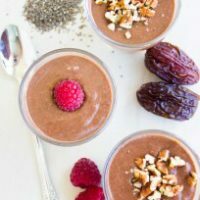 When you’re craving a chocolate dessert, turn to this healthy and nourishing instant chia chocolate pudding recipe. It’s the best way to reward yourself any time of the day, no matter what lifestyle you’re following! It’s rich, satisfying and takes 2 minutes to make. No chilling or waiting for the pudding to firm up, no need for sugar and absolutely no excuse to miss this recipe! In a high-speed blender, place all ingredients and blend on high speed until the pudding is smooth and perfectly thickened. Serve with nuts or raspberries or chocolate shavings! Use any nut milk you like - cashew milk makes or an extra low-cal chocolate chia pudding, while coconut milk makes it extra creamy. This pudding is unbelievable it’s just like magic! I couldn’t believe how amazing these seeds managed to change the texture of milk and coco powder to a smooth pudding that’s so delicious, ultra light and super healthy! It’s great for the kids, me and will definitely make it for my vegetarian friends. Perfect thank you. I’m going to make this up for lunch on the go too. Take a banana and add to this chia delight.